Chloe Comerford, 11, daughter if Jessica and Michael Comerford and sister of Paige, is in the sixth grade. Her favorite class is art because she likes to draw and paint. She also likes math and science. Her future goal is to keep up a good grade and to get smarter. 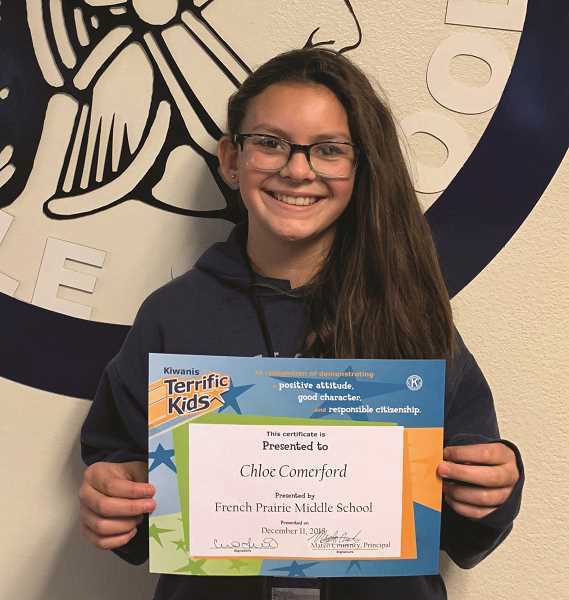 Her teacher wrote that Chloe is "always respectful, willing to help, makes sure the classroom is in order before she leaves the final period. (She) constantly has a smile on her face and is a diligent worker." Diana Santiago Sebastian, 12, daughter of Alejandrina Sebastian and Guillermo Santiago and sister of Silvia, Monse, Maria, Amelia, Linda and William, is in seventh grade. Her favorite school activity is when they did the penny war. Her favorite classes are math, gym, literacy, science and social studies because it is really easy for her. She likes all her classes, she said. Diana's future goal is to become a basketball coach. She loves basketball (it's one of her favorite sports) and she likes teaching students what to do and to make them better. 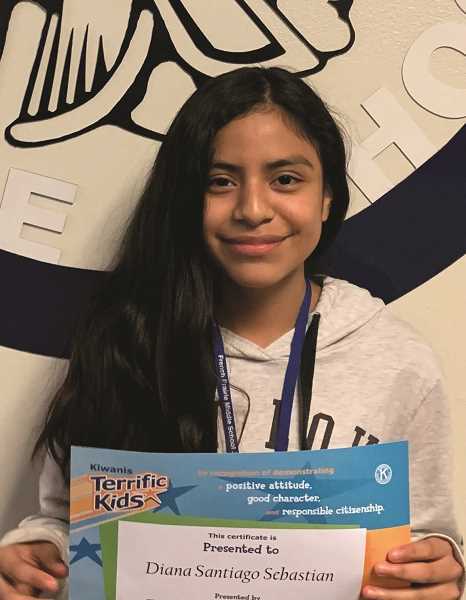 Her teacher said, "Diana is a very respectful and hard-working student. She tries really hard to finish her class work." 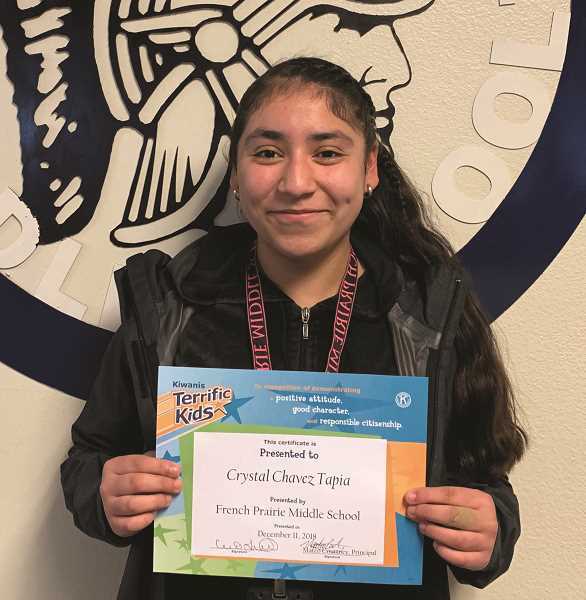 Crystal Chavez Tapia, 14, daughter of Efren Chavez and Cruz Tapia and sister of Cristian, Santiago and Jesus, is in the eighth grade. Her favorite classes are language arts and math. Her future goals are to graduate from high school and to get into a good college. Her teacher said, "Crystal has really come out of her shell this year and started to shine! She's very inclusive, fun and a good role model."